The Intermediate-Level Webinar on Adjustments that You’ve Been Waiting For! *All webinars are recorded and available at your convenience. Do you want hands-on training on how to make supportable adjustments? Have you been waiting for in-depth, detailed examples on the different adjustment methods available to you? This two-part webinar serves as a follow-up to Working RE’s How to Support and Prove Your Adjustments, and takes appraisers deeper into the adjustment process with real world examples and case studies. 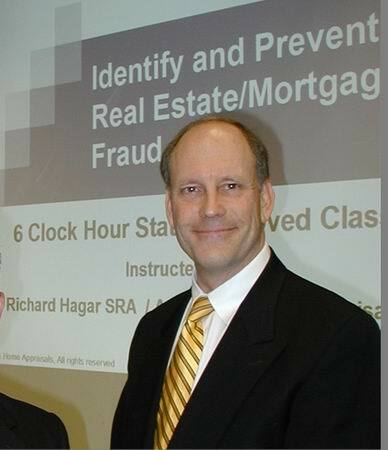 Richard Hagar, SRA will work through many examples, explaining how to calculate adjustments in the “real world.” Learn to apply regression analysis within different neighborhoods as well as how to use the right adjustment method on duplexes, multifamily, condos, and waterfront property. Working RE’s earlier webinar, How to Support and Prove Your Adjustments, was incredibly popular with appraisers, and appraisers were clear that they wanted more examples, more detail, and more in-depth analysis so they can start using these new tools in the field today. This webinar answers that call, and shows you, step by step, how to provide the proper support, analysis and documentation for adjustments in your appraisal report and workfile. Failure to provide proof and analysis to support your adjustments mean a rough road from now on out: state board complaints, license revocation, panel removal, lawsuits, and now Fannie Mae cites “use of adjustments that do not reflect market reaction” as number one on a list of 16 reasons why an appraiser can be placed on its “Do Not Use” List. This list is a fast ticket to a career change. In this expanded two-part webinar, Hagar explains the most common methods that can be used for determining adjustments and shows examples of how it applies to numerous components through-out an appraisal. Learn proven methods for proving adjustments that improve the quality of your reports and help you avoid problems, blacklisting and legal actions. *Webinars will be recorded. Review the course later at you own convenience, in its entirety, if you have a scheduling conflict and can’t make the live version or if you want to view it again.